Wearing: Riviera Direct Ray Earrings, Givenchy Tribute Striped Collar Blouse, Voile Holiday Boutique Layered Pearl Necklace, Moxie Teens Statement Necklace, Archive Multi Pearl Necklace, Chanel Tribute Gold Encrusted Vest, Moschino Tribute Silk Sequin Shorts, Rio Gold Belt, Rio Bangles, Folk Gold Bracelets, Chanel Tribute Classic Chain Strap Purse, Pretty in Love Knee High Socks, Givenchy Tribute Khaki Lace Up Boots. Hey everyone! It's Jessica for Tuesdays Captured. I had my first field hockey game this Monday. and my team won! ^-^ Anyways, enough about me! Today I captured Trendsetter88. Last week I saw her and really wanted to Capture her so I captured her this week! I think her outfit is really good. Her rooms are amazing too.. I really like this outfit because the color and the way she designed the outfit. She did a very good job with color coordinating. Surprisingly I don't think all the jewelry is too much. I love the shorts and the blouse. I like the color of the shorts and just the way the blouse looks. Anastasiarts: It is very nice!! The colours are nice and all the clothes look very nice together. I personally like the bottom more than the top :) I think it is a little over-accessorized, but overall, nice work! Lovelyhula: This has alot of different layerings and colors , In my opinion it matches very well!The makeup and hair match it well too! 8/10 Amazing! Overall I think it got good ratings. What do you think? 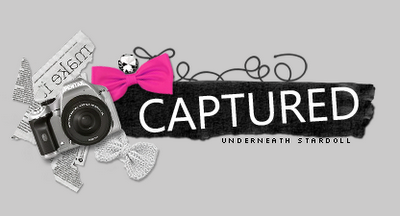 Got any questions about Captured? Click HERE. But please don't ask me to Capture you!